Is "Any Ideas" a cry for help? It’s been a good while since the Chilean-German techno shaman Ricardo Villalobos has released any new solo work. After 2007’s Fabric 36, a seamless mix of all original material, and the following year’s spate of releases — two EPs and an album for Perlon and, on his own Sei Es Drum label, “Enfants,” a 17-minute, choir-sampling epic that became a runaway underground hit — it seems like the creative well dried up for a while. It’s true that last year he teamed up with Max Loderbauer for Re: ECM, a double-CD set of remixes of the iconic jazz and new-music label; this year the pair released a similar set of reinterpretations of Conrad Schnitzler. And Villalobos has kept up a fairly steady stream of remixes for artists like DJ Sneak, San Proper, and Tobias., with one rework even landing him, however improbably, on the DFA label. But it’s been a long time since Villalobos’ music really got people talking the way former glories like “Enfants,” his Fabric mix or 2006’s 37-minute single “Fizheuer Zieheuer” did, to say nothing of his remixes for Beck, Shackleton, and Depeche Mode. Whatever new material Villalobos has been concocting in his Berlin studio, its only outlet has been his own marathon DJ sets. Where it used to be Villalobos’ audacious releases that fired up the forum jockeys, these days partisans argue over whether or not his most recent session on the decks was a four-to-the-floor epiphany or a disheveled, self-indulgent mess, with charges of trainwrecking going head to head against claims for transcendence. Now, out of nowhere comes a new, two-track single from the minimal maven, apparently a teaser for an upcoming LP for Perlon, due this summer. It’s likely to be a divisive release. Die-hard fans will love the burbling grooves, the incremental build, the hypnotic repetition and the anechoic sound design, with every blip swathed in a vacuum, sensual and sterile all at once. Listeners who take a less sympathetic view of his metronomic grooves and dry, amelodic approach will find plenty of ammunition for their own arguments here. Ultimately, it all comes down to taste — as, perhaps, it should — but it’s true that we’ve heard all this from Villalobos before. The groove of the A-side cut, “Any Ideas,” is a spindly array of flat kicks, muted bass tones and tiny droplets of tone, the kind of thing that Villalobos can turn out in his sleep; it chugs on for nearly 13 minutes, and its only memorable feature is a reversed bell-tone melody that spins slowly, incessantly, as though indifferent to its surroundings. Actually, that’s not true: there’s also a sample of a woman asking, “Have you any ideas of what you’d like to hear?” that repeats at odd intervals across the track’s duration, climbing in volume towards the end. It’s an odd way of drawing attention to the fact that Villalobos seems to be treading water where new ideas are concerned; skeptics may snap back, “Yes, anything but this, please.” (During my first listen, I jotted in my notebook, “Is this a cry for help?”) But Villalobos has always been a bit of a trickster (that is, a famously self-indulgent producer with little interest in editing); that taunting repetition is his wheelhouse, and his followers will surely be happy to take a tumble with him. The 14-minute B-side, “Emilio (2nd Minimoonstar),” is Villalobos in contemplative mode, with a melancholy melody that might be hammered dulcimer stretched out over a beat that moves like Carl Sandburg’s feline fogbank. 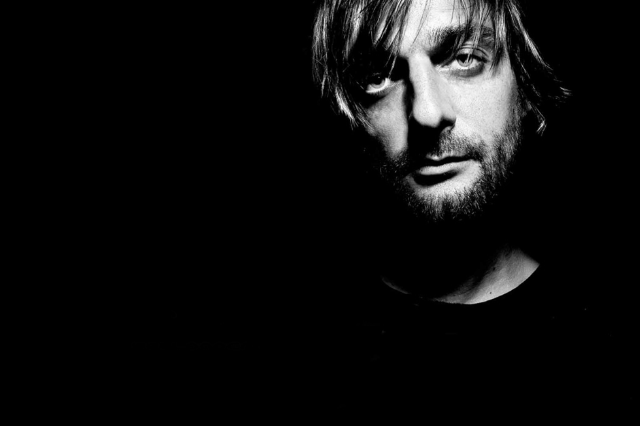 The title suggests a link to Villalobos’ “Minimoonstar,” released in a 13-minute version and a 31-minute version on 2008’s Vasco EPs and LP. Listening back to those, I can hear a connection; it’s not hard to imagine the three pieces as various outtakes from a single, all-night session, which they very well may be. I’ve repped hard for Villalobos, but I have to admit: my first thought was, “Really? This is all you’ve got?” At a time when dance music is more connected to the hips (and the groin) than it has been in ages, between the libidinal energies of classic house and the suggestive swing of garage-inflected bass music — to say nothing of the return of melody and song form — Villalobos’ grooves can sound anemic, distracted, afraid to commit. (Another first reaction torn from my notebook: “We’re stepping in place, marking time.”) But it’s also a question of style: these tracks intentionally withhold immediate gratification. As always, Villalobos is playing the long game. A track like “Any Ideas” might make perfect sense at stupid o’clock on the second day of raving, with a gait that mirrors the trembling of your jellied knees and a topline that corkscrews deep into the most addled corners of your cortex. These days, I’m not willing to stick around long enough to find out. I’ve been to Villalobos’ studio (note to prospective journalists: ixnay on the onghitsbay when you’re hanging with this guy), and I’ve heard the quality of sound produced by his custom-built Martion Orgon speakers, which look like a cross between God’s personal P.A. system and something you might see hanging off the wing of an X-Wing Fighter. There are sounds that come out of that thing that are unlike anything you’ve heard. A rimshot cracks, and you can practically gauge the wood grain of the drumstick that produced it. That kind of detail allows Villalobos to express more with a single reverb tail than many producers could get across with an entire battery of keyboards. But it can also be a trap — a rabbit hole of sonic minutiae that don’t quite add up to compelling music. That approach to sound also means that Villalobos’ music needs to be heard on a real sound system, in a real club, with real people, to fully ascertain how successful it is. (How many club sound systems are up to the task is another question.) I’m willing to withhold judgment on the new record until I’ve done that. I’ll say this: after a couple of plays of both sides, feeling ruefully unsatisfied, I began mixing the record with Stefan Goldmann’s “Chalgapella,” a beatless, Middle Eastern melody that’s exactly the type of off-kilter tool Villalobos might incorporate into his sets. And suddenly, with a compelling lead in place, Villalobos’ tracks made more sense. The Spartan rhythmic bed fluffed up; the hazy, background wash of tone took on new colors. With parallel rhythms slipping slightly out of phase, a new dimension opened up, a zig-zagging tack between the two layers. Minimalism has been out of fashion for a while, but Villalobos’ music reminds us that sometimes, leaving more space in the music makes for more possibilities in the mix. Whether possibilities equal inspiration remains to be seen. “Have you any ideas of what you’d like to hear?” You tell us, Ricardo: Let’s hear that album.